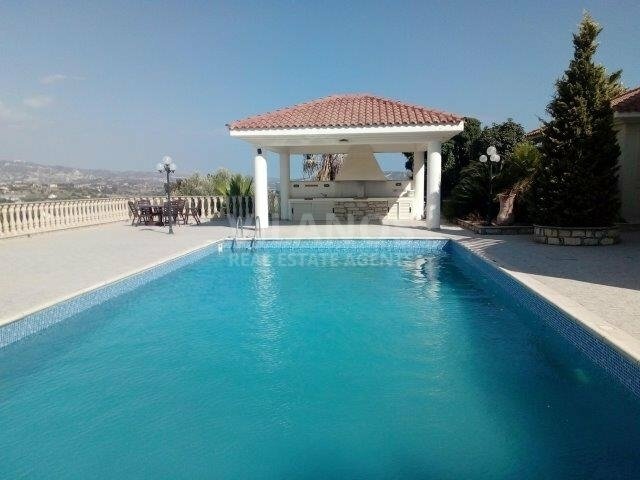 Code No.11108 For sale Luxury Villa 5 bedrooms independent built in 2 levels, in the area Pyrgos in Limassol. It has covered area +/- 500 m², plot size +/- 4000 m², In the ground floor there is kitchen independent, with living room/dining room, and in the living room it has 1 sitting area, dining area, guest wc and laundry room. On the first floor, in the master bedroom you can find bathroom, wardrobe and spacious cabinets. Furthermore there are 5 bedrooms with spacious cabinets,2 bathroom, 2 shower, 5 WC, sitting area, office, small kitchen and covered veranda. Outside has a nice big garden with trees and flowers, with automatic watering system, drilling, large barbecue, pergola, large storage room, swimming pool and large covered parking. The roof is tile. The outer coating (painting) is from highly durable acrylic material graffiato. The fence is metal railing with modern design. There are provisions in all areas for air-condition and central heating, the aluminum doors and windows are double glazed with security lock and aluminum last generation. It has Italian ceramic flooring, sockets in very good quality, solar water heater with pressure, door screen, all mixers (faucets) are stainless steel high quality, ceramic sanitary (wc-bathroom-shower) first quality Italian origin, comfortable and large room cabinets from top quality wood with an integrated stainless steel lifting and Italian handles. 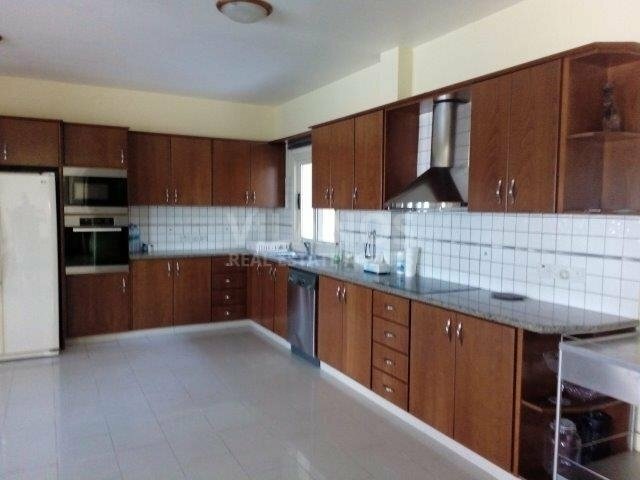 Spacious kitchen with living-dining room and numerous large cupboards made ​​of good quality wood with integrated opening mechanisms (hinges), and Italian stainless steel handles. There is special space for the placement of the cooker-oven-hood, microwave, dishwasher, and refrigerator. The kitchen counter is lined with Italian granite. It’s titled and has easy access to the motorway and nearby there are all the services a housewife will need. 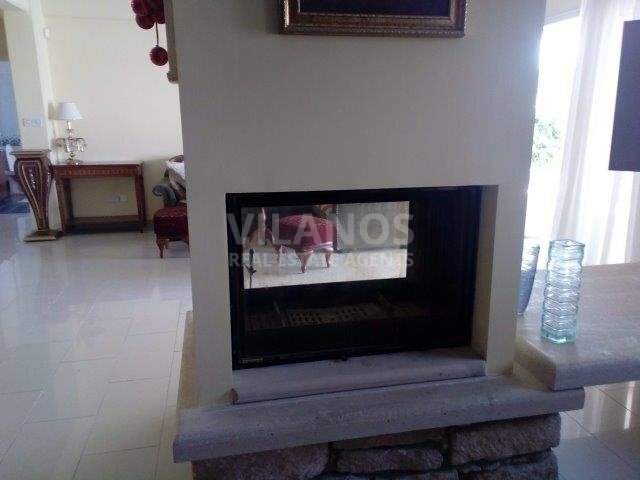 It has distance from the roundabout Germasogia of 10 km or 10 minutes and 15 km or 15 minutes from the beach and the town center. 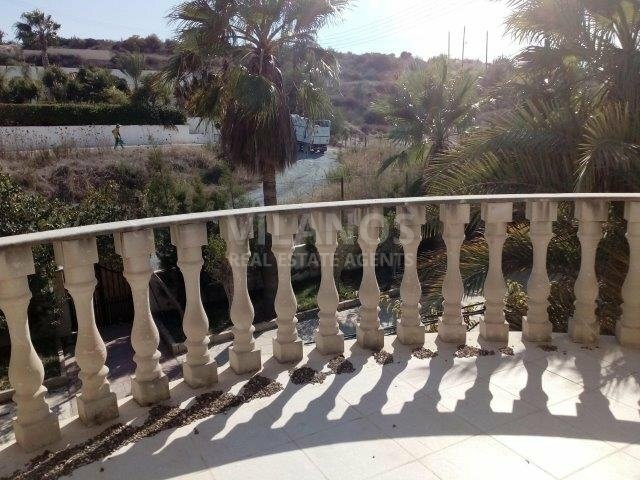 Located north of the city of Limassol. Near the house there is a large park (green area) with games for children. 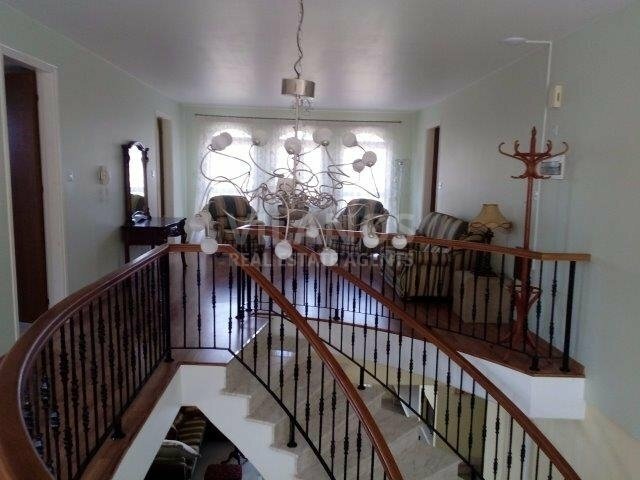 Located in a quiet, new area surrounded by nice big houses. The house was built of excellent and durable materials, in classic/modern architectural design and features comfortable and functional spaces. Also it has saouna, service room with wc and shower, it's furnished, bbq.